Apart for Eivind Lønning replacing Arve Henriksen on trumpet, the sextet gathered by Wallumrød for Fabula Suite Lugano is identical to the one that delivered The Zoo Is Far in 2007. Here again, the scope of the music goes well beyond jazz to incorporate elements of baroque music, Norwegian folk and modern composition, and ranges from delicate minimal pieces (Pling, Quote Funebre, Snake) or angular themes (Solemn Mosquitoes, I Had A Mother Who Could Swim, Mosquito Curtain Call) to experimentation (Duo, The Gloom And The Best Man, Glissando) and orchestral grandeur (Jumpa, Scarlatti Sonata). The album was recorded at the Auditorio Radio Svizzera in Lugano, Switzerland, but the vast majority of the eighteen tracks featured here were fine-tuned on the road and during lengthy rehearsal sessions, and combine formal composed music and improvisation, at times serving as the basis for a particular section of a piece or at others used to bring spontaneous elements to the music. The result is a totally fascinating, and often unpredictable, journey where various music forms are worked into a very coherent whole. 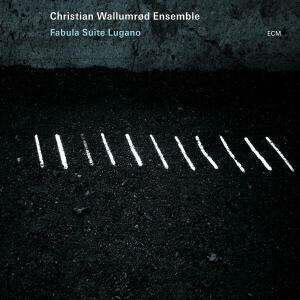 Wallumrød gives much importance to space and volume, conscious never to overload his music with unnecessary flourishes, and on Fabula Suite Lugano, his ensemble achieve a level of control and restraint which gives the most fragile compositions as much importance in the overall narrative of the record as the more elaborate pieces. This can take many forms, but it is mostly represented here through lingering silences, open-ended dialogues between instruments or pastoral touches. Often, these delicate moments are placed against much sturdier compositions to create strong contrasts and variations throughout, yet, even with the more sustained tracks, there is an underlying feeling of vast open space which appears to bind the record together. Christian Wallumrød rarely appears on his own here, but he is more than happy to step back to let another member of the sextet take centre stage. This humility also characterises his music, as he constantly seeks to find new way to develop his music, but instead of tainted his influences with brash slabs of jazz, he applies delicate brushes and textures to retain the essence of his original interest. This gives Fabula Suite Lugano its diversity yet ensures that the whole work remains consistent from start to finish. Thanks for a great review. I’ve had No Birch since it came out, a brooding and slightly forbidding affair. Your review’s prompted me to listen to other recordings on Spotify – The Zoo is Far is lovely. Am adding to my ‘to buy’ list! I must admit that I don’t really know his work prior to this album so well, although I very much enjoyed The Zoo Is Far and A Year From Easter, which features both Nils Økland and Arve Henriksen, thanks to Spotify. I have been on a bit of an ECM binge recently. I’ve always loved the aesthetic of the album covers, which is something you will probably understand, and been intrigued to dig in a bit more on both jazz and classical sides.